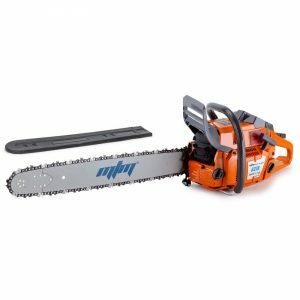 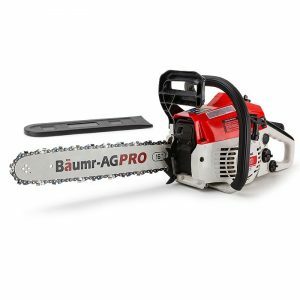 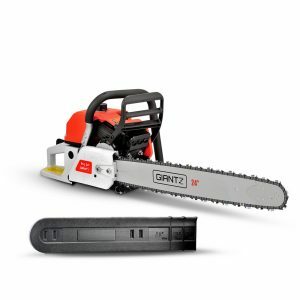 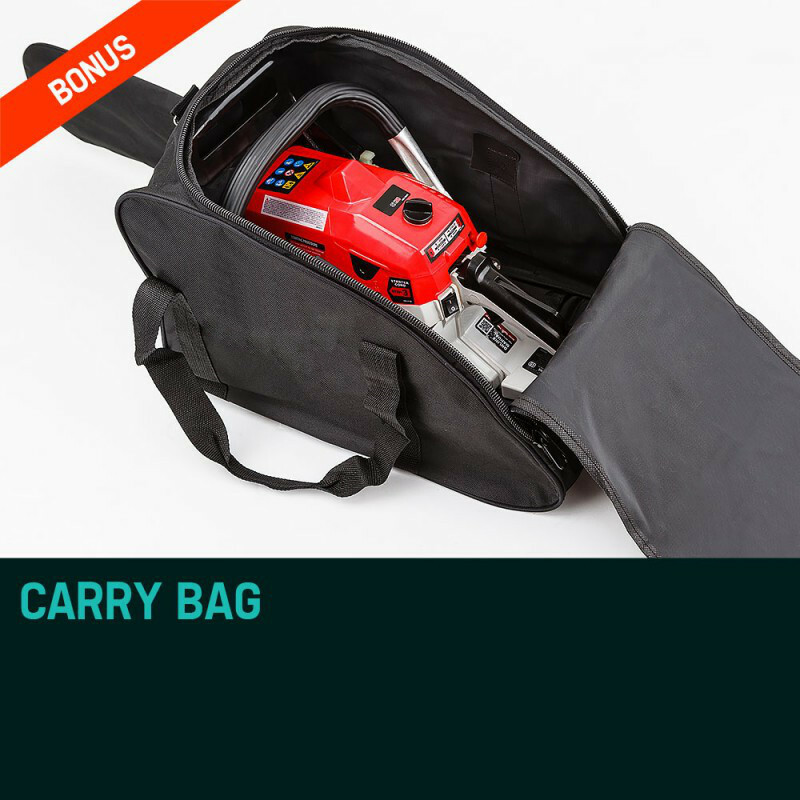 The Baumr-AG Pro 16" Chainsaw is perfect for trady or home handy man who likes to work hard and pack light. 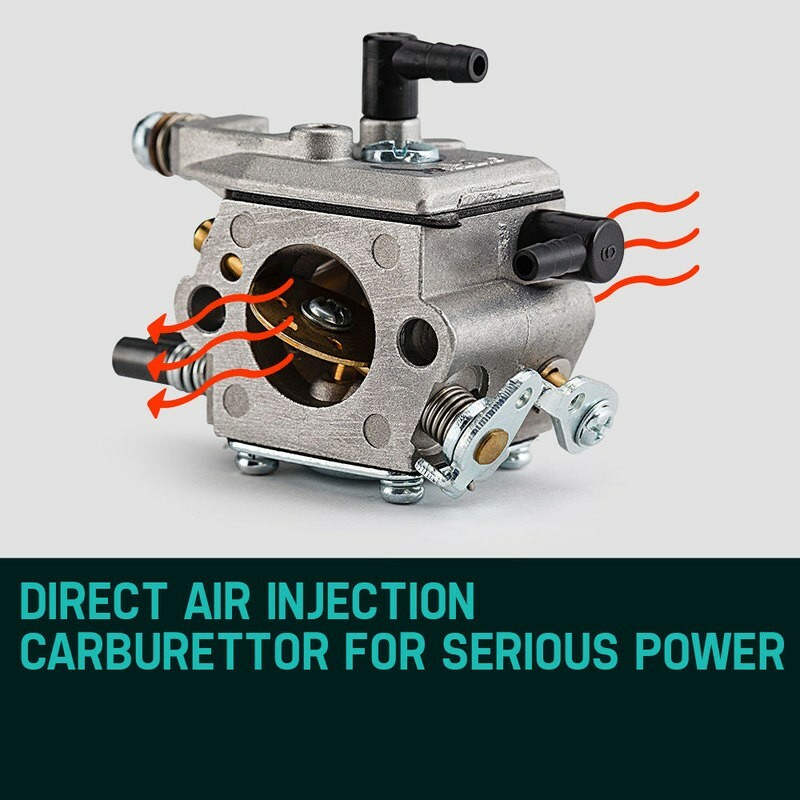 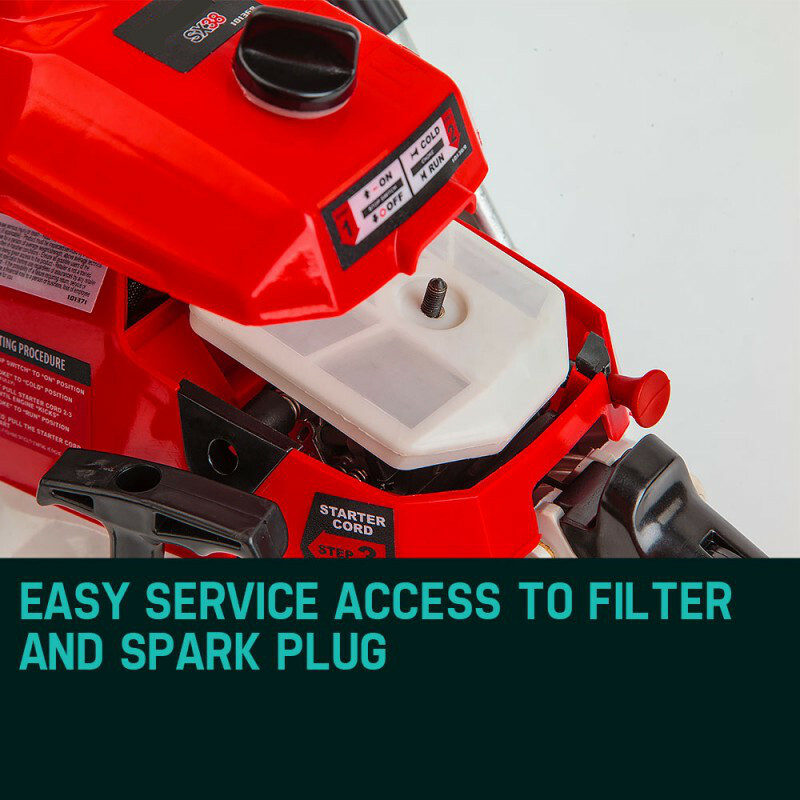 With a 3.2hp 38cc engine and direct air injection carburetor this mighty mini packs a serious punch and it comes loaded with great features, like a quick chain tensioner, fast primer, auto chain brake and correctly sized 16" bar for fast cutting and superior performance. 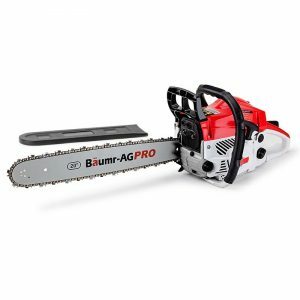 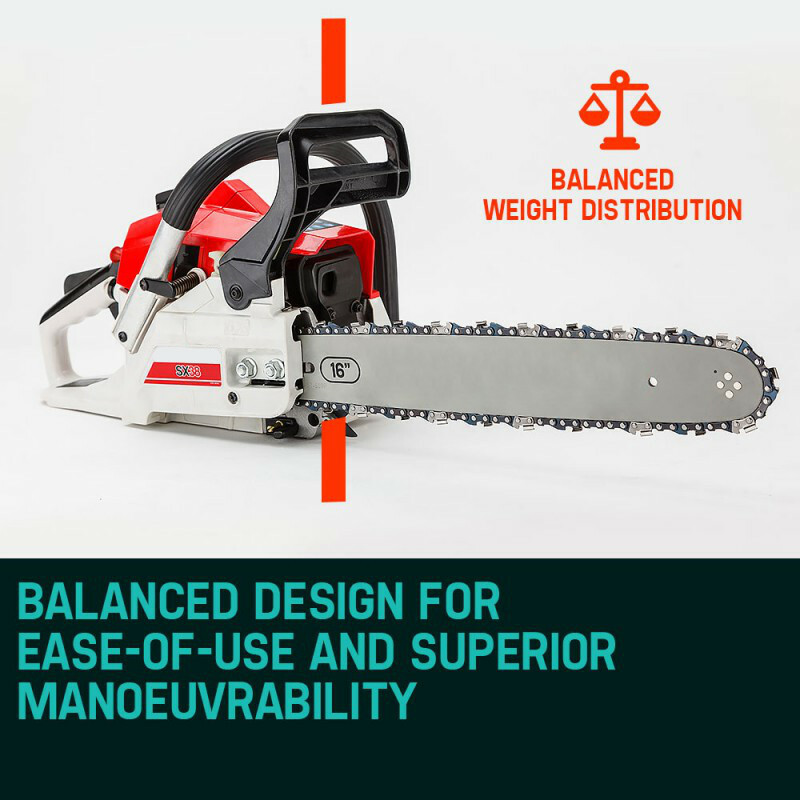 Baumr-AG 38cc Pro-Series Chainsaw is proof that great things come in small packages. 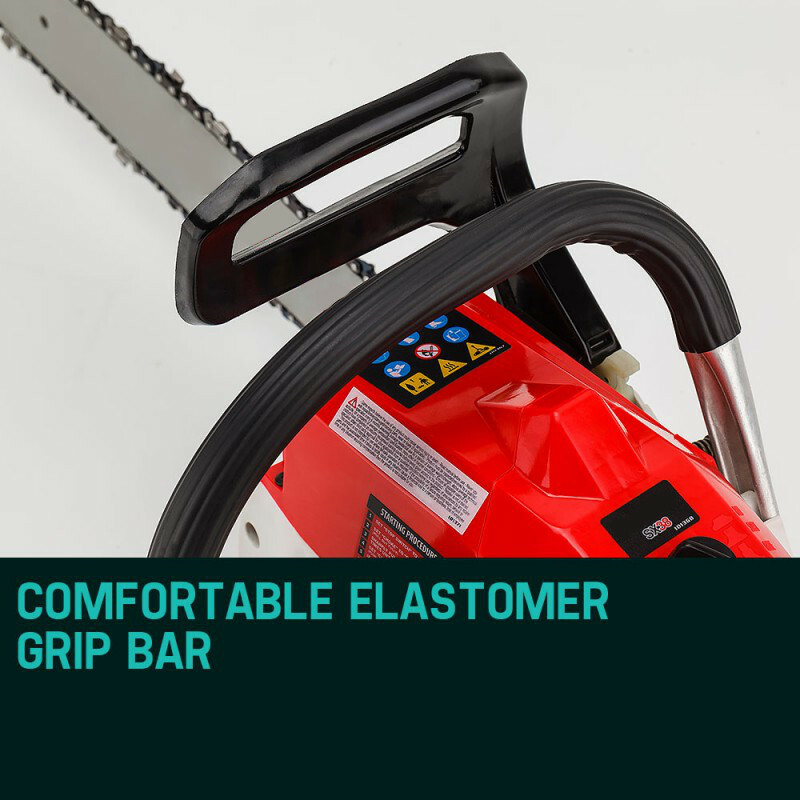 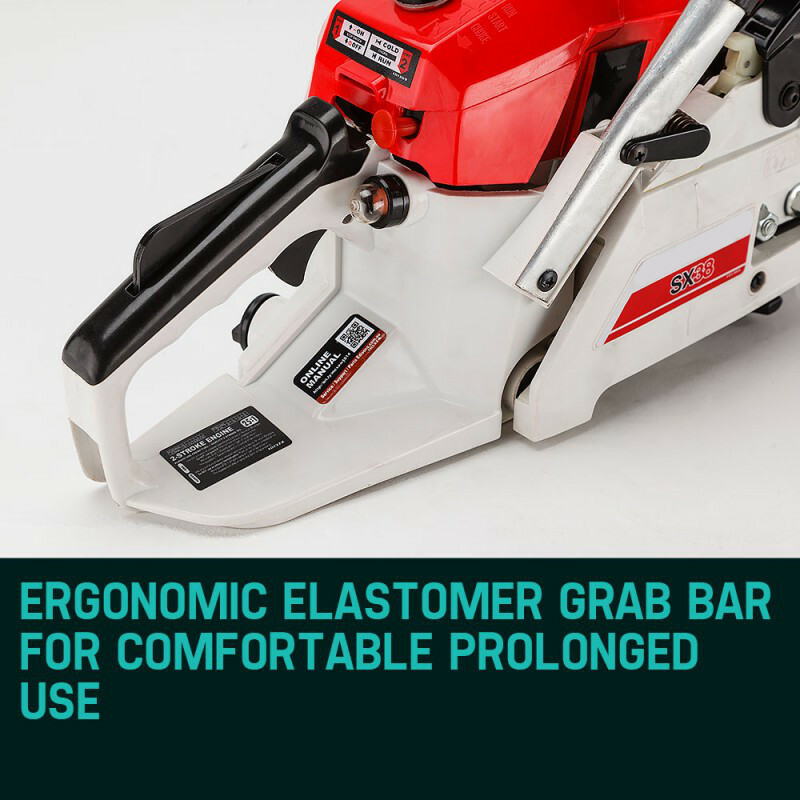 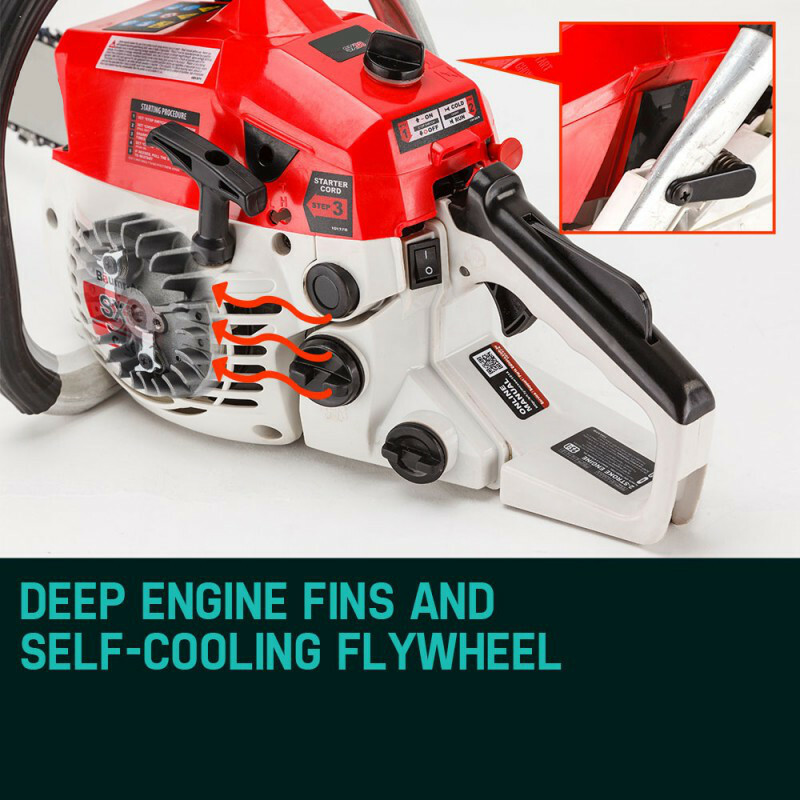 It squeezes an incredible list of features - including a comfortable ergonomic grab bar, 360 degree cutting capability, superior oil feed, premium saw chain and lightning fast safety brake for total peace of mind. 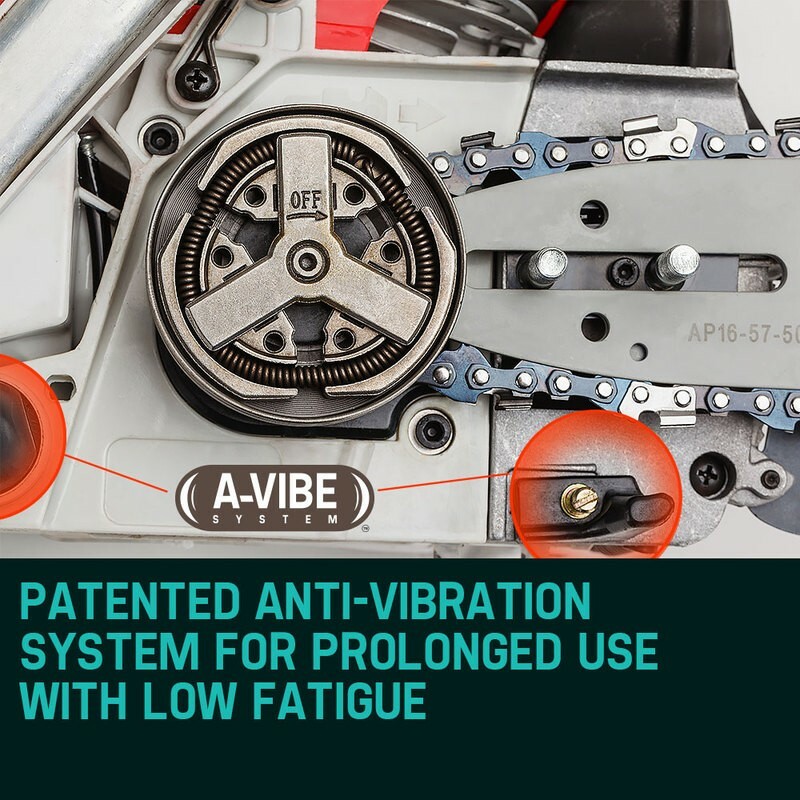 Add to this Baumr's patented "A-Vibe" Anti-Vibration and Easy Starting Systems and you've got one seriously portable, easy to use little unit. 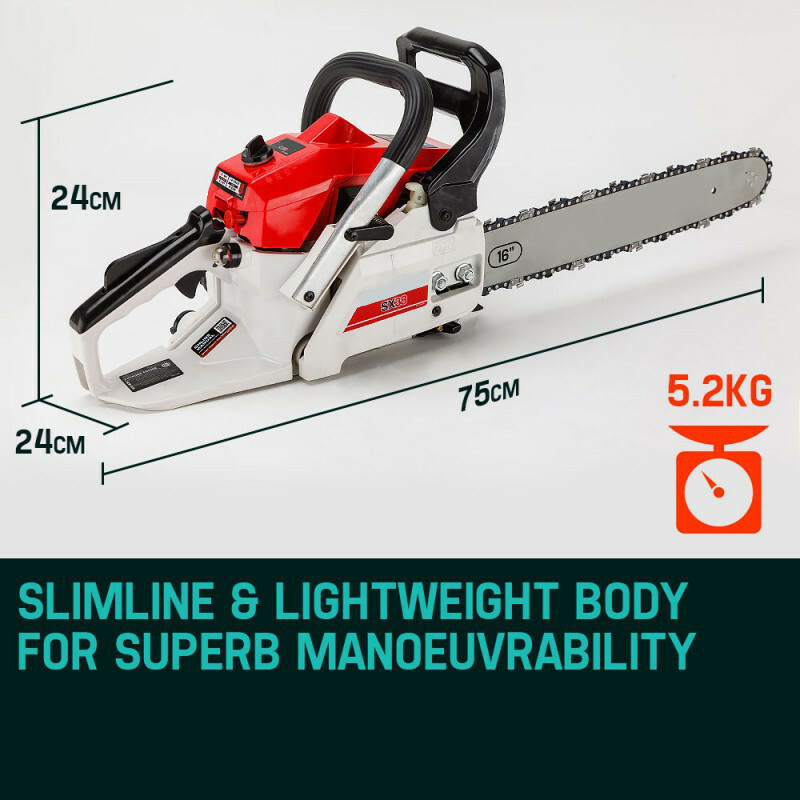 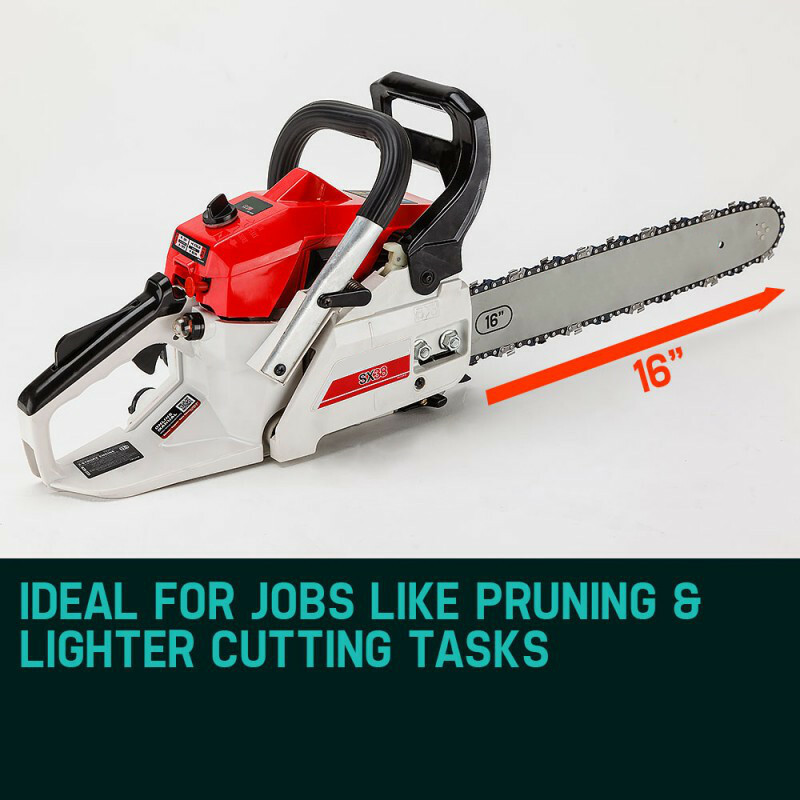 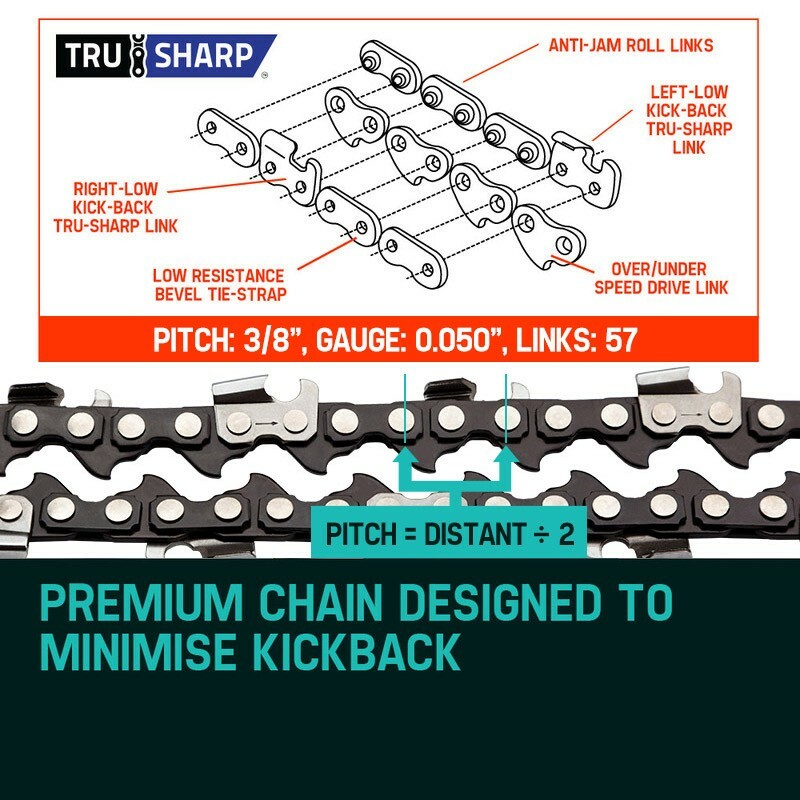 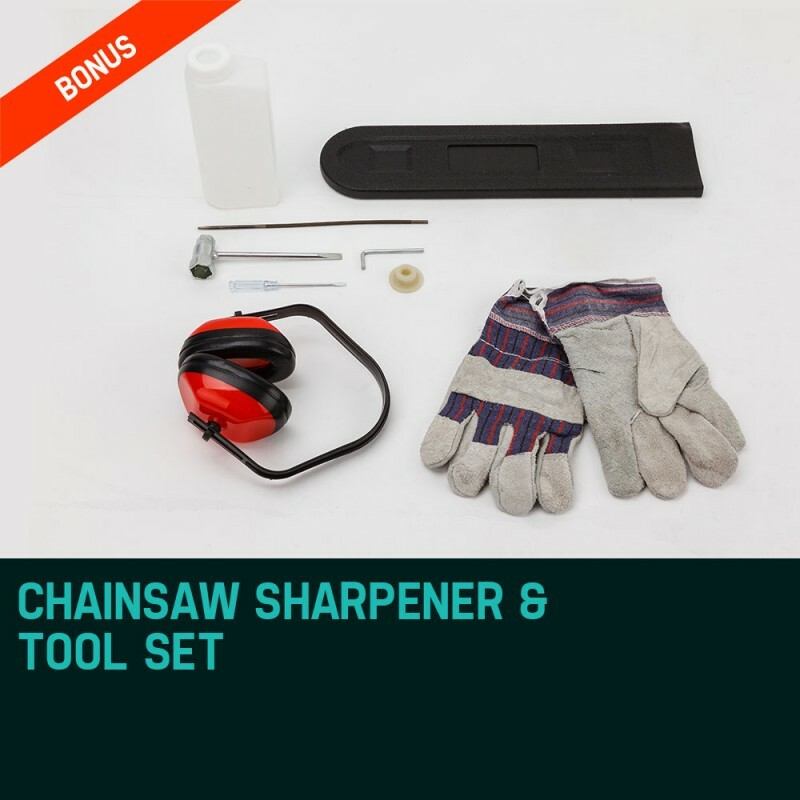 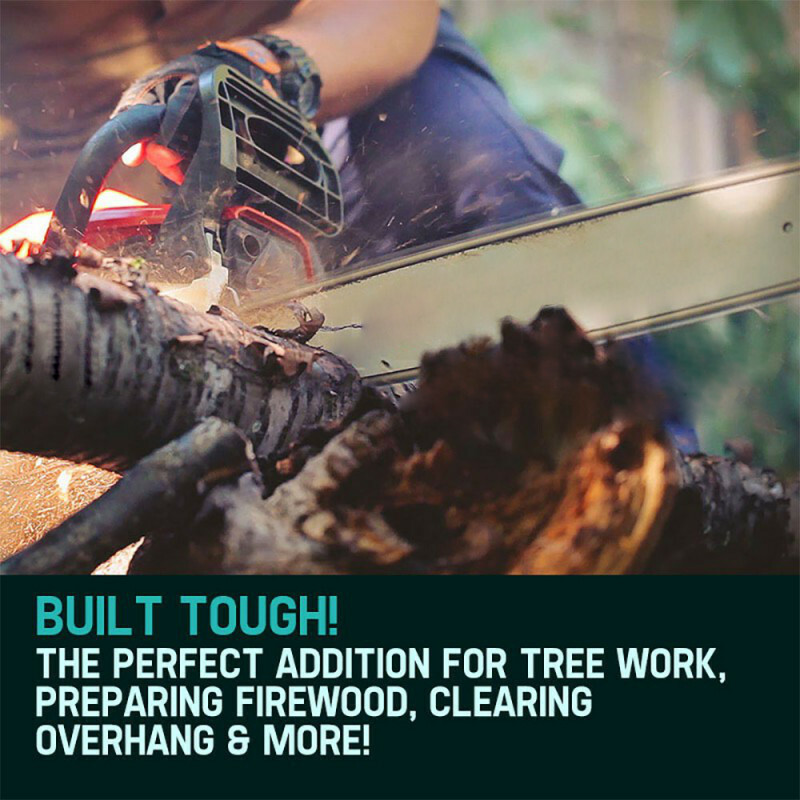 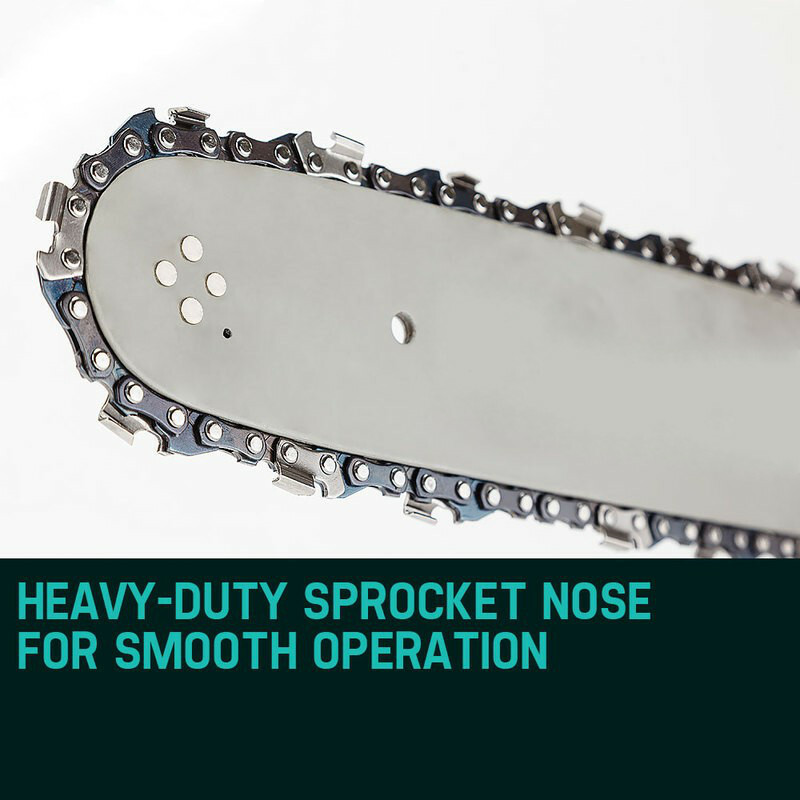 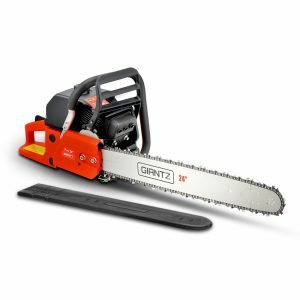 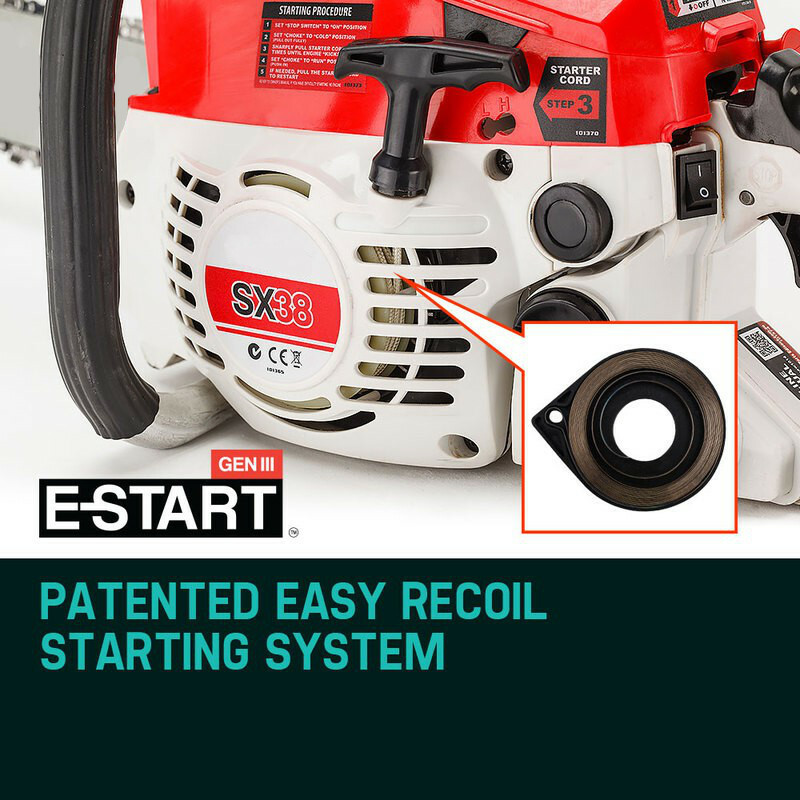 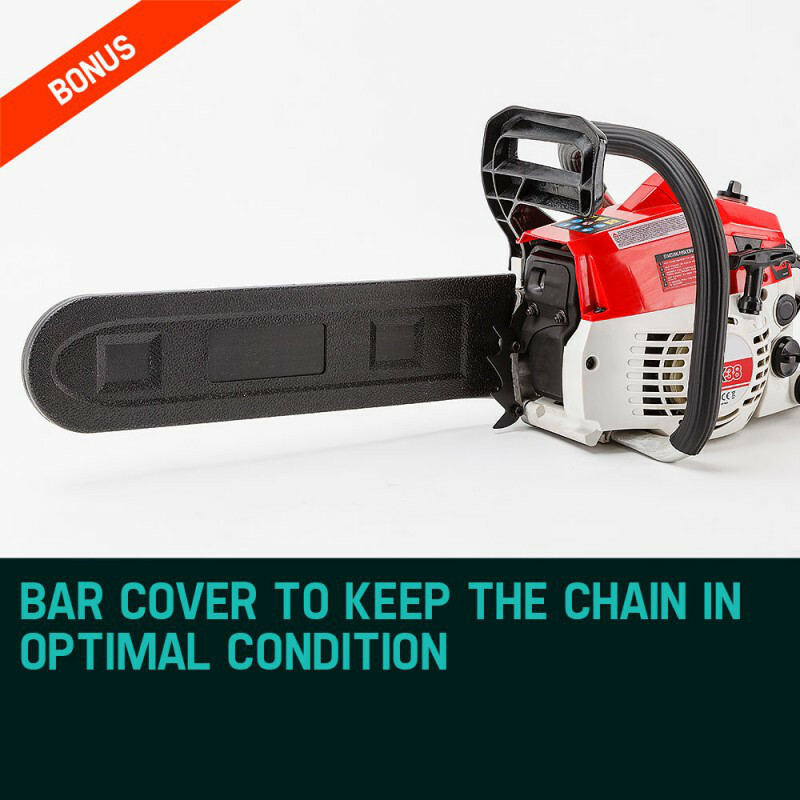 It packs a punch too with Baumr's patented air injection carburetor and intake system delivering more grunt per cc - making it perfect for tree work, preparing firewood, sectioning small to medium branches, clearing overhang and removing bushfire hazards.